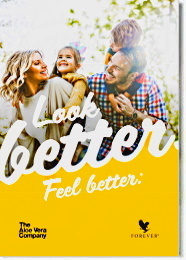 Forever Aloe MPD 2X Ultra is a multi-purpose, liquid concentrated detergent created by Forever Living Products and now is better than ever. The new 2X Ultra formula is even more concentrated to take your cleaning that much further. Mild, gentle formula is kind to hands and clothes. Every week we use multiple detergents for cleaning. Wouldn’t it be nice to buy just one multi-purpose product for the laundry, dishes, floor, and even the bathroom? 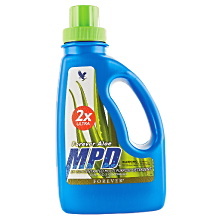 Forever Aloe MPD 2X Ultra is such a product, a liquid detergent that is highly effective and very economical to use. A versatile cleaning product that is ideal for laundry (all types of clothes), it is also a household cleaner for floors, bathrooms, tile and carpet cleaning, and for hand-washing dishes. This safe, concentrated, liquid detergent is great for lifting grime, cutting through grease and removing stains without scratching or marking any surfaces. It is versatile enough to do the job of many similar products on the market, with a major cost savings for the user. 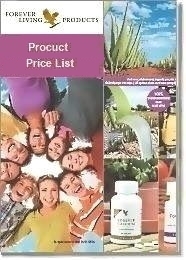 Forever Aloe MPD 2X Ultra is phosphorus-free, making it environmentally friendly. Unlike many detergents, its anionic and non-ionic surfactants are biodegradable, thus reducing environmental and water pollution. 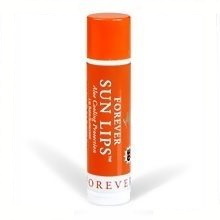 Its non-abrasive formula contains mild aloe vera to soften and condition your hands and clothes. This revolutionary, multi-purpose cleaner is available only through Forever Living Products. Use 1/2 ounce (15 ml). For stain removal, place a small amount directly on the spot, add water and soak before washing. When pre-treating, rub a small amount directly onto the stain before washing. Always test an inside seam for colorfastness. Gentle on the hands, just a couple drops on a sponge or dishcloth gets dishes squeaky clean, removes carpet stains and more. (Not recommended for use in automatic dishwashers). Note: Not for use in automatic dishwashers.